Our lead management system allows you to keep track and stay in front of your leads coming in and any other clients as well. First, you want to make sure you are being notified of any leads coming in. You set that up in your Notifications section. There you can dictate how you want to be notified (email, text or both!) 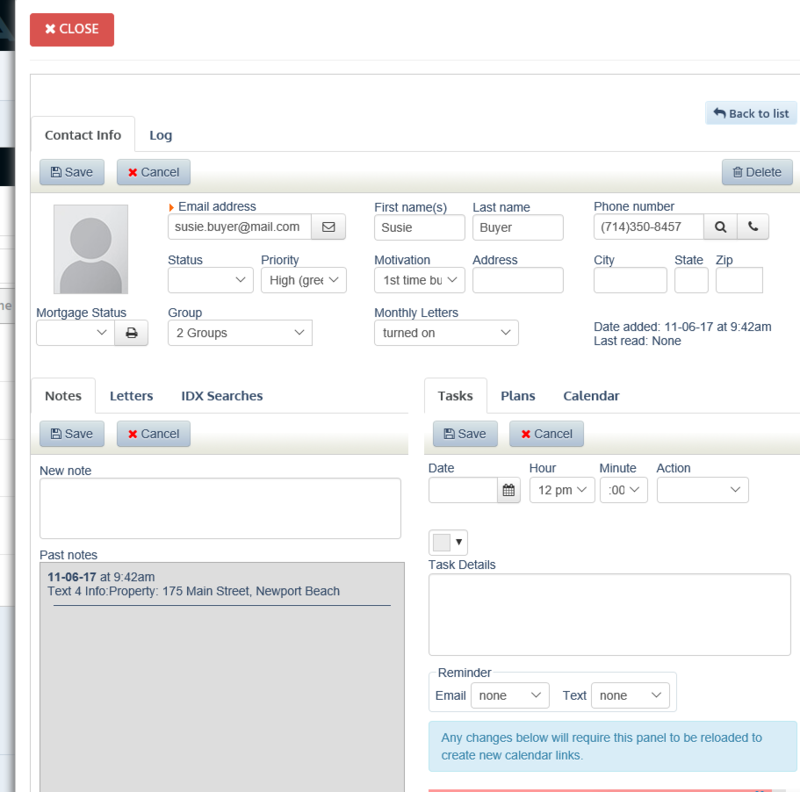 and you can also set it up to automatically place the leads on email drip campaigns. Once you have leads and clients in your lead management system, you can put them into groups and categories. The great thing about these groups and categories is that you can really customize them to what your needs are! 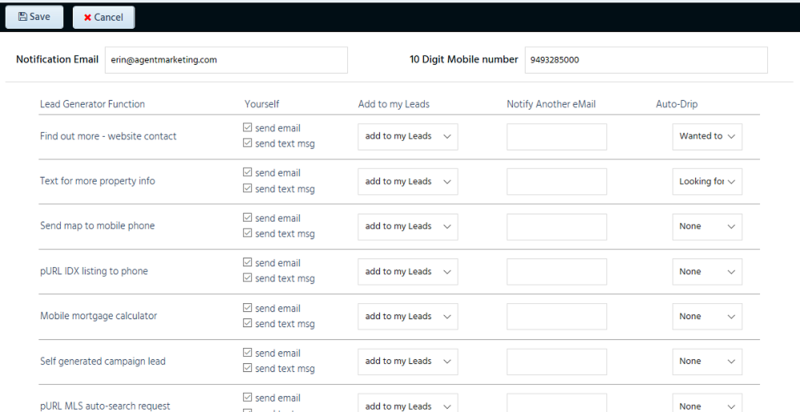 When you are grouping and categorizing a lead/client, you can also set them up on the monthly newsletters that we provide, an email drip campaign, task, task plan, etc. Keep in mind, any lead coming from our system will automatically go into your lead management system page and automatically get set up on the monthly letters (and automatically on an email drip if you set it up that way in your Notifications section). Now, we do give you many different email drip campaigns that you can use with the content already on them. You can also edit those existing campaigns and even create your own if you want. We also give you the monthly newsletters. Again, you can edit them and even add more letters if you want. With the monthly newsletters, we also include the market statistics for that clients zip code. If the client doesn't have a zip code in their client page, then we use the zip code you have under your profile. Recommendation: Add yourself in as a client and set yourself up on an email drip campaign and the monthly letters. This way you will really be able to see what it is your clients and leads would be getting from you!